head), sold by Elders Kerr & Co. Numbers reduced this week by 562 cattle today for a mostly average quality yarding. All weights and grades were represented and all regular domestic and export processors were present, however, not all buyers were operating fully in a cheaper market. Trade cattle were limited slipping 5c to 20c/kg in places. Heavier trade steers sold between 242c to 274c while the heifer portion sold between 220c to 256c/kg. Feeder buyers dominated the market today taking advantage of the price fall between 10c and 40c/kg. 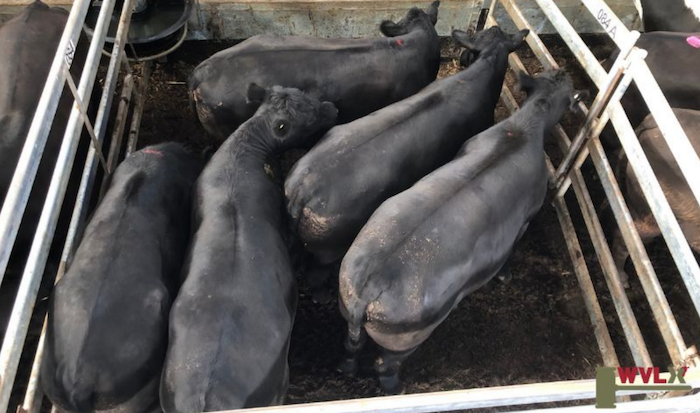 Better feeder steers sold between 211c to 271c and heifers made between 190c to 248c/kg. Restockers joined the buying group taking home a nice line of heifers between 260c to 264c/kg. Very few finished grown steers were offered resulting in prices easing 8c selling between 250c to 272c/kg. There was a good offering of well-conditioned cows, however, regardless of this prices fell up to 10c to 40c/kg in areas. Better finished lines made between 181c to 198c/kg. A mixed quality offering of bulls sold to the usual buying group with the better shapes selling between 200c to 225c, slipping 14c/kg. 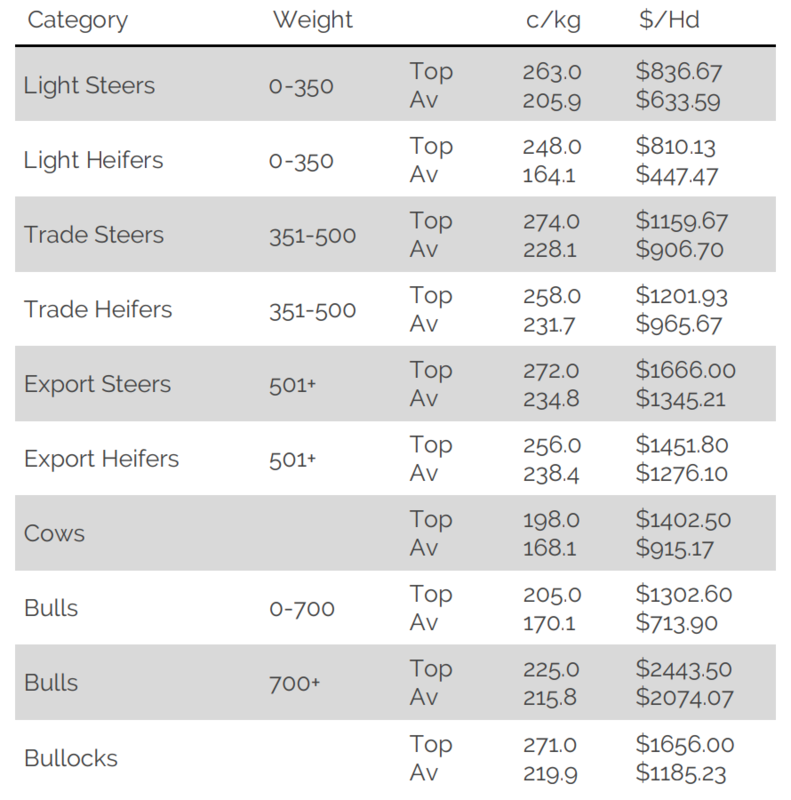 Market Report: Reproduced courtesy of Meat & Livestock Australia Limited.